Each producer tries to convince the public that something is dangerously wrong, or about to go wrong, and that immediate steps must be taken to remedy the situation. An indifferent public is first galvanized into becoming a market of alarmed consumers by constant reminders of myriad threats to health, and then convinced of the need for more and more products and services to protect them. In the process, deep-seated fears about disease are mobilized, and insecurities about health and longevity are intensified. As a result, many come to feel less secure about their health, more worried about the possibility of disease, more absorbed in trivial symptoms. Fast forward to this year, when a blog post from the U.S. Department of Health and Human Services advised, "It's never too early to prevent type 2 diabetes." Noting that women with high blood sugar levels in pregnancy (gestational diabetes) are more likely to develop type 2 diabetes later in life, this post suggested that mothers be tested for diabetes 6 to 12 weeks after the birth, then tested again periodically, with more frequent testing if their results showed prediabetes. When medical and public health professionals talk about diabetes prevention, they are generally referring to helping people with prediabetes (high blood sugar levels that aren't high enough to meet diagnostic criteria for diabetes) improve their diets, become more physically active, and (if overweight) lose extra weight. In March, the Centers for Disease Control and Prevention and the American Medical Association announced the Prevent Diabetes: STAT campaign, with STAT standing for Screen, Test, Act-Today. Since few persons with prediabetes have recognizable symptoms, the reasoning goes, physicians need to find them by screening. But what is the evidence that screening for prediabetes makes a difference in long-term health outcomes? Let's start with screening for diabetes. In 2008, the U.S. Preventive Services Task Force recommended that adults with blood pressures over 135/80 be screened for diabetes, not from direct evidence that screening was beneficial, but because at that time blood pressure goals were lower for diabetic patients. However, the 2014 JNC-8 hypertension guideline set the same goal blood pressure of 140/90 for adults younger than 60 years regardless of diabetes status, removing this rationale for screening. So when the USPSTF updated their 2008 recommendations, they would need to find proof that earlier treatment of screen-detected diabetes (as opposed to clinically detected) prevented or delayed patients from going blind, losing limbs, requiring dialysis, having heart attacks, or dying as a result of their disease. The Task Force completed its review last November. The review found no evidence that screening for diabetes, even in high-risk persons, prevented or delayed any of the those outcomes. In fact, two randomized trials of screening for diabetes found no differences in mortality rates after 10 years of follow-up. These findings would typically have resulted in a "I" (insufficient evidence) statement or "D" (don't do) recommendation. Instead, the USPSTF provisionally recommended screening a much larger group of adults than before, reasoning that in the process of screening for diabetes, physicians would find lots of people with prediabetes and hopefully be able to prevent them from developing diabetes. Both the USPSTF review and a more recent review commissioned by the Community Preventive Services Task Force clearly showed that combined diet and physical activity promotion programs can slow (or sometimes stop) the progression from prediabetes to diabetes. No argument there. What we don't know is if finding more adults with prediabetes (and, since so many are thought to be undiagnosed, creating an epidemic of prediabetes) will help them live longer or better. Most persons with prediabetes are overweight, sedentary, and/or consume an unhealthy diet. 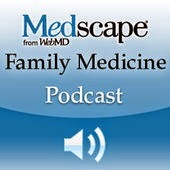 Family physicians already provide lifestyle counseling to these patients. And if (like a few of my own patients with prediabetes) they happen to be normal-weight long-distance runners who haven't touched junk food in years, I just tell them to keep doing what they're doing. Two editorials that accompanied publication of the USPSTF and Community Task Force reviews in Annals of Internal Medicine essentially argued that we don't need any more evidence to go out and screen everybody for prediabetes. Drs. K.M. Venkat Narayan and Mary Beth Weber wrote, "Much of the debate around screening for prediabetes and diabetes focuses on the lack of direct evidence from randomized, controlled trials comparing screened with unscreened persons on a hard outcome, such as CVD or mortality. However, such a definitive trial of hyperglycemia screening is infeasible, unrealistic, and arguably unethical ..."
Tell that to the authors of exactly this type of randomized trial which has been going on for more than a decade! Similarly, Dr. Ronald Ackermann argued, "As a society, we should no longer hold for ransom the potential to reduce the burden of diabetes by continuing to await further evidence that interventions will be cost-saving or prevent myocardial infarctions or deaths." Well, while we're talking about hostage-taking, consider that being told that he or she has diabetes or prediabetes makes a patient immediately feel worse (or as Dr. Barsky would have put it, feel less secure about their health, more worried about the possibility of disease, [and] more absorbed in trivial symptoms). In my view, widespread screening for prediabetes will only become ethically justifiable when we have proof that it will lead to people living longer or better. The VA/DoD [cholesterol treatment] guideline suggested higher 10-year cardiovascular risk thresholds [than the ACC/AHA guideline] for recommending a statin for primary prevention (12% vs 7.5%) and for considering a statin for primary prevention (6% vs 5%). They also preferred moderate-dose to high-dose statins in most clinical situations. Why is the VA/DoD guideline more conservative about statin use? Same evidence, different panel, different conclusions. It's worth noting that none of the VA/DoD panelists had any financial conflicts of interest. In the current issue of American Family Physician, Dr. Barry Weiss shares an anecdote about a hospitalized patient's confusion about a conversation between himself and a consultant who said that it was okay to move her from the intensive care unit to the floor. The perplexed patient interpreted "floor" literally to mean that the hospital was so overcrowded that she would not be able to sleep in a bed! Although this mildly comical story might elicit chuckles at health professional gatherings, it also highlights the serious potential for limited health literacy to lead to misunderstandings between doctors and patients. How can physicians make sure their patients understand health information? 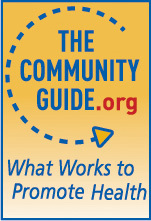 Rather than routinely screening for low health literacy, which has not been shown to improve outcomes, Dr. Hersh and colleagues recommend taking "universal health literacy precautions," a group of strategies for enhancing verbal and written communication, and visual aids (including online videos). For example, clinicians can use "teach back" to ask patients to restate the medical concept or plan in their own words to confirm understanding. Online tools are available to quickly assess the reading level of written patient materials. Patients also benefit from being encouraged to participate actively in formulating their care plans and being connected to community literacy resources, if needed. For more information on how to bridge the health literacy gap, see this recent Family Practice Management article and the Agency for Healthcare Research and Quality's Health Literacy Universal Precautions Toolkit. The Men Against Breast Cancer Fund and several cancer advocacy and physician organizations have posted a petition on Change.org asking Congress to place a two-year moratorium on finalizing the U.S. Preventive Services Task Force's draft recommendations on screening for breast cancer to forestall the possibility that health insurers will stop covering screening mammograms for women younger than age 50. Since 2010, the Affordable Care Act has mandated that private insurers provide "first-dollar coverage" (no copayments or deductibles) for all preventive services that the USPSTF assigns an "A" or "B" grade - services for which, in Task Force lingo, there is moderate or high certainty of at least moderate net benefit on the population level. Screening mammography for women age 50 to 74 received a "B" grade the last time the Task Force reviewed the evidence, but it was their "C" grade for women age 40 to 49 that became a lightning rod for health reform opponents. Even though that grade aligned with the small health benefits in this age group and was intended to allow women to make their own decisions about what is, scientifically speaking, a close call, a "C" grade did not guarantee coverage for mammography. So Congress rewrote the ACA to disregard the 2009 recommendations and instead use the most recent version otherwise, dating from 2002 when a previous Task Force had given a "B" grade to mammography starting at age 40. But should the 2015 draft recommendations be finalized, the "C" grade will finally be enacted into law. That's the backstory. The petition itself is riddled with misrepresentations and errors. For example, it states: "The draft recommendations give mammograms for women ages 40-49 a “C” grade, meaning most women in this age group, according to the Task Force, do not need an annual exam." Not so. Actually, the Task Force is telling physicians and patients to weigh the benefits (a 1 in 2000 chance over 10 years of avoiding death from breast cancer) against the harms (a 6 in 10 chance of a false positive test result, unnecessary biopsy, and/or unnecessary treatment during the same time period). The petition says: "Of the approximately 40,000 women who die from breast cancer each year, up to 10,000 had cancer that potentially could have been diagnosed with screening mammography prior to the age of 50." I don't know the source of this statistic, but let's say for the sake of argument that it's true. It implies, falsely, that by not undergoing mammography in their 40s, 10,000 American women will die preventable deaths. Unfortunately, a cancer that can be diagnosed (no matter how "early") with screening mammography is not a cancer that can be successfully treated. Even under ideal scientific study conditions with perfect followup, screening mammography reduces mortality in younger women by no more than 20 percent. In real-life settings? A study published recently in JAMA Internal Medicine found that more intensive mammography is associated with the detection of more small breast cancers, but is not associated with fewer large breast cancers or breast cancer deaths. Finally: "The draft recommendations also deem the evidence for 3D mammography insufficient, dismissing hundreds of peer-reviewed publications that clearly and consistently show 3D mammography is a more accurate exam." Accurate in what way? That it finds more cancers than conventional mammography does? That it leads to more biopsies, more radiation, more surgery? The Task Force contends (and I agree) that the only reliable measure of a screening test's superiority is whether or not it leads to fewer deaths. For 3D mammography, there's absolutely no proof that it does. As journalists, marketers, fundraisers, and politicians know all too well, the best strategy for education and persuasion in the public arena is usually a story that shows rather than tells how the salient facts are relevant in a particular life. If a person’s sister (wife, daughter, lover, friend) has breast cancer, and that cancer was found by a mammogram, they are not interested in populations. He or she is only interested in the sister. In that context, science seems cold, clinical, and uncaring, perhaps even irrelevant. I would begin by saying that Elizabeth ... had a good life and loving family. And then, at her primary care physician’s recommendation, she had her first mammogram, which was, as we like to say in medicine, “grossly abnormal.” She was called back initially for a diagnostic mammogram and then for an ultrasound with biopsy. ... Over the next three weeks, she had several more mammograms and ultrasounds and 2 MRIs suggestive of a large, aggressive tumor; findings in the other breast that required investigation (“Probably nothing,” she was told, “but once we’ve seen it … ”); and 22 biopsies, several of which resulted in painful collections of clotted blood in her breasts. Normal life and work were impossible. Elizabeth and her family endured a Thanksgiving punctuated by tears and carefully chosen words so as not to increase the already-suspicious children’s concern. Meanwhile, her physicians were at war: based on the x-ray films, the radiologists argued she had metastatic cancer with a less than 50% chance of 5-year survival, while her surgeons, based on the biopsy pathology, contended she had a rare, mostly benign condition. Fortunately, the surgeons were right. Still, sorting that out took weeks, and because the condition was associated with increased cancer risk, they insisted on bilateral surgery to remove all of the suspicious areas. So Elizabeth’s mammogram didn’t find cancer, but it did lead to the permanent mutilation of her breasts, huge medical bill copays, significant lost time from work, months of extreme stress, and ongoing anxiety about her disfigurement and risk of cancer. To those who say, as if to brook no further argument: "Screening mammography in young women saves lives, that's all there is to it," I respond, no, that is not all. That too-neat narrative is only a small part of the story. And it's past time that the full story is told. 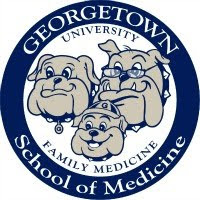 To ensure that its clinical review articles reflect current medical literature, the American Family Physician journal (of which I am an associate deputy editor) requires prospective authors to consult evidence-based resources that synthesize the best available evidence from clinical trials and other high-quality studies. The goal of this process is to produce unbiased recommendations for primary care physicians. But what if the authors of clinical reviews are actually professional scientific writers paid by pharmaceutical companies, rather than the physicians who are named as authors? In fact, drug-company funded "ghostwriters" have been publishing articles in the medical literature for years. A 2011 study found that from 2 to 11 percent of articles published in 2008 in six major journals were actually written by people who were not named as authors. Although the study could not establish that these ghostwriters had been directly financed by industry, the practice of writing up a scientific study and then recruiting a lead author (usually an academic physician under pressure to "publish or perish") has been well-documented in the case of previous "blockbuster" drugs that were taken by millions of patients for common conditions but later turned out to have dangerous or fatal side effects, including Prempro and Vioxx. This post originally appeared on Common Sense Family Doctor under the title "Compromising the medical literature" on September 8, 2011. 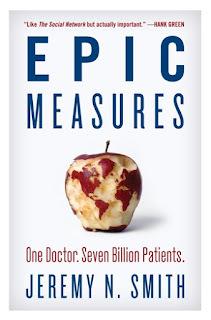 Last month, I attended a talk by Jeremy N. Smith, whose book Epic Measures follows Dr. Christopher Murray's lifelong quest to improve measurement of global health problems, which culminated in the Global Burden of Disease study. Thanks to Tracy Kidder, whose 2003 bestseller Mountains Beyond Mountains made Murray's medical school and residency classmate Paul Farmer a minor celebrity, most people's idea of global health work is setting up clinics in impoverished countries such as Haiti and Rwanda. In contrast, after Epic Measures opens with a young Murray traveling with his family across the Sahara Desert, it mostly describes more prosaic activities: meetings with statisticians, navigating entrenched national and global health bureaucracies, and appealing to philanthropists for research support. 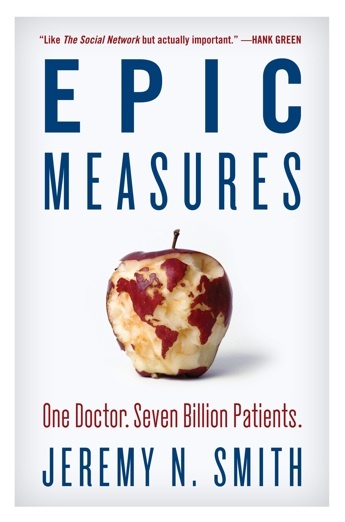 What I loved about this book, I told Smith as he was signing my copy, is that it made sitting in an office cubicle performing complex statistical analyses seem almost as cool as practicing front-line medicine in remote areas of the world. Smith's second question: "Are we measuring the right thing?" Many chronic diseases cause enormous suffering, but may not result in death. Accounting for the amount of disability it causes over a lifetime to millions of adults, the burden of neck pain is twice as high as breast cancer in the U.S. This isn't to say that breast cancer is an unimportant health issue, but the countless walkathons, pink ribbons, and calls to raise money for breast cancer research and treatment far outpace the attention and dollars public and private sources devote to relieving neck pain. Finally: "If we use new evidence and new measures, how far and how fast can we improve?" Quite dramatically, Epic Measures illustrated. Mexico prioritized coverage decisions for its national health insurance plan, Seguro Popular, on its national burden of disease data and saw its child mortality rate fall by almost half within a decade. Based on its burden of disease, Australia started paying for short-term depression therapy and dropped routine prostate cancer screening (a no-brainer in retrospect, given that screening has little to no effect on prostate cancer morbidity or mortality, but a hard call to make before 2011). Smith's talk got me thinking along the same lines about the state of the health care workforce in the U.S., and how far we are from what is needed based on our national burden of disease. There isn't an easy fix when so much of our health care "system" is driven by disease-specific advocacy and perverse financial incentives to do more rather than less, and we spend more than $1 trillion each year on health professional salaries alone. But rather than simply projecting future workforce needs based on past experience or best guesses about evolving models of care in the post-ACA era, we should be asking some more basic questions. What is the scientific evidence base for U.S. health workforce policy? Are we measuring the right thing? And if we use new evidence and new measures, how far and how fast can we improve?